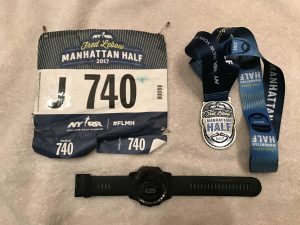 On Saturday March 11, 2017, I ran my 5th marathon in 5 months. 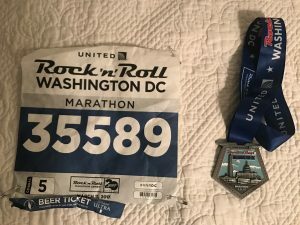 It was the Rock n Roll Series DC Marathon sponsored by United Airlines. I would say incredible, but I already said that last month. I’ll just say it was amazing to even think it was possible. I love D.C. I have friends there. I saw my first Panda Bear there. Among other things. This was going to be another quick trip. I hopped on the Amtrak Friday evening. I was a bit rushed since the race was Saturday morning instead of Sunday. I dropped my bags off and went straight to the DC Armory to check this expo out. I picked up my packet and realized I was starving so I was going to miss out on the Meb Keflezighi meet and greet in my hotel lobby. What a pity. After a long, early dinner I was off to bed. I woke up around 5:00am, knowing the race started at 7:00am. I put on my Superman costume. Well, not really, it was more like my CWX tights, lululemon shirt and Hoka Bondi 4’s. Yea, it was sort of like Superman. I got to start late! The entire race had started and it only took 10 minutes to go thru all the corrals. Now that was incredible. It was freezing. We’re talking sub 30 degrees and windy. My hands were like ice cubes. My feet still bruised from the Mercedes Benz Marathon a month ago were holding on strong. I held tight but the race was rather dull up until around mile 20. Around mile 20 I met Michael from Russia. Where do I start? It was his 75th birthday. This was his 40th marathon that he’d run, in 15 different countries. What an inspiration. I had to ask him which was his favorite. Athens he said, because it was the most beautiful city to run in. Around mile 24 I ran into Heidi. I immediately noticed her Newton sneakers that matched her socks, that matched her Nathan’s backpack, that matched her shirt and shorts. That match her, well, I think you get the picture. This girl was matching from head to toe. I had to say something. We ended up chatting for the final stretch and I learned about her passion for running, and her family, and her clothing line, LulaRoe. It’s funny the things you learn about a person in a few moments or miles. The subway ride back to my hotel was grueling. It was a cold and busy station. 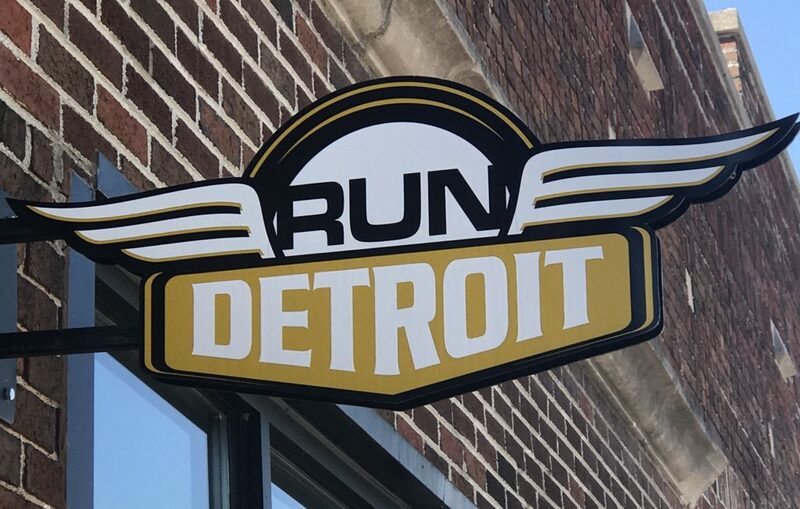 I struck up a conversation with a runner that sat across from me. She looked like a pro so I asked how many marathons she’d ran. Maggie’s response was astonishing. “Over 100, I lost count”. We only had a few moments but wouldn’t that be cool to interview her! What a race. What a town. What a group of runners.